Search Engine Optimization SEO is very important for a website to get rank in Search Engines like Goolge, Bing, Yahoo, Ask, etc. Search Engine Optimize SEO helps any page of the website to have a place in the top or in the first page of search engine result page. Most of the internet user search through search box of a search engine by using KEYWORD or keywords to find any service or product. These internet users do not know name of any particular company or provider but they use keyword or keyword phrase. Search Engine shows the pages in the search result pages from their own index according to keyword or keywords. Those pages are shown in the first page of search engine result page SERP get huge traffic. Analysis the page for all Search engine optimization or seo methods before start seo works. Analysis is important to know which area is to given more priority to optimize accurately and get Search engine optimization or seo output within short time. Find out the errors and fix all problems by applying all seo techniques properly. In the begining of search engine optimization seo work select primary keyword or keyword phrase and give priority to the primary keyword for all seo works. If primary keyword is get high ranked then start works for secondary keywords or phrase. It is not wise to start search engine optimization seo works with all keywords same time. One of the important works of search engine optimization seo is to know competitors. How many competitors are available for this keywords or Phrase? Design search engine optimization seo plan by considering Competitors content, site rank, page rank, page age, social media presents, etc. Informative, important and Quality contents are very important part of search engine optimization seo works. Search engine optimization seo secrets are existing with these things. Law quality content with no meaning or duplicate will bring nothing for you though you accomplish all SEO works accordingly. Make article or content for user only, do not consider content for search engines. Search engine looking for High quality and unique content to index and showing in the first page of Search Engine result page. Try to write big article to get huge traffic or expected customer to your website. Webpage Title should be maximum 60 to 64 characters. Google uses website description in search engine result page (SERP), so your description would be summary of the article or content and should not be more than 160 characters. If you use long description search engine will truncate extra characters. If there is no description search engines capture content from inside the article and show in the search result description area. Which headline is very important, which sub-headline is less important you should say to search engine with H1, H2, H3, H4, H5 and H6 tags as a part of good search engine optimization seo practice. Do not user so many keywords and do not user very few keywords inside the content or article. There no accurate guideline for keyword density. Sometime one keyword or keyword phrase enough to show the webpage in the first page of Google, Yahoo or Bing. 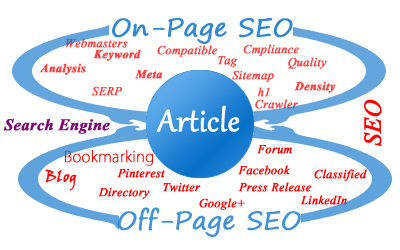 search engine optimization seo expert can use appropriate number of keywords inside the article. Keyword placement is also another very important area of SEO search engine optimization. You should place keywords or keywords phrase in the right place of webpage. Check your site url length during SEO search engine optimization, try to keep url as short as possible. Google and other search engines give priority to only few words after slash. But these words should be main phrase base and easy to understand. Make your page as slim as possible to scan contents by search engine within few seconds. XML sitemap is very important for Google and other search engines. Also create HTML , URL or ROR sitemaps. Sign in to your webmasters tools and Upload sitemap there. Create robot.txt file and upload to root folder of the website. Tell search engines which folder or files you allow them to index and which folder or files you do not allow search engine to crowl. One of the most important SEO tips or techniques is to make website Search compliance. Web bots or Crawler visit website and index all URLs from the website. During Crawling Crawler check site validation, code, email spam, etc. to download crawler compliance all contents from the website and index them in the respective categories. When user search any content, search engine return right result from the index. Search engine cannot read image without its name or alter text. Image description, caption also important and user friendly. Do not forget to use at least one medium size text related image inside the article to fulfill search engine optimize accurately. After completion search engine optimization of your website visit Webmasters tools frequently to know your page status. Check which pages are in the top as authoritative pages. Go to these pages and add internal links to increase rank and visitors. Redirect all dead links and not found urls to appropriate links by using 301 permanent method. Permanent redirect code can be inserted into .htaccess file in the root of the website. If you use WordPress or Joomla content management system (CMS) install popular plugin or module to redirect 404 error page permanently. Google provides free Analytics tools for webmasters to monitor many statics of a WebPages. You should implement Google Analytics code in the right place of a web page to review your page position and visitors trend. All contents should be unique. Do not use same content for all links. If you use same text every where then Search engine will consider ‘spam content’ and never will index this as backlink. Try to get backlink from Page Rank 2 or Page Rank 3 to send juice to your pages. Use keywords base anchor text that would directly connect to your site. Social media marketing and promotions are important works of off-page seo. Submit SEO base optimize unique article to different Article directory. Create SEO base blog and complete optimization with keyword base anchor text. Write professional press release to submit different media directory with seo. Social Bookmarking is an import search engine optimization (SEO) work of off-page. Bookmarking host site should be PR-2 , PR-3 or higher to get juice inbound link to your site. Directory listing is a lengthy process as the owner of the site approve your link manually and its take long time. So you just submit and wait idle longtime for result from directory website. Do not use link inside the forum text. Forum admin only allows link in the signature area, so SEO base text optimization is important for forum submission. Find classified website and submit your site link to appropriate category. Use SEO base Social Media Marketing tools of Twitter, Facebook, Google Plus, Pinterest, LinkedIn, etc. to create your page or profile. Complete page optimization properly and make fans, followers, likes, share your contents as many as possible. You should wait for one week to 3 months to see your pages on the first page of Google, Bing, Yahoo, etc after completion of Search engine optimization seo works. 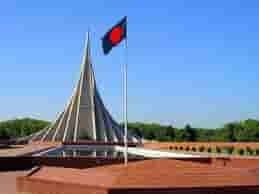 There many search engine optimization or seo service provider in Bangladesh and world wide. 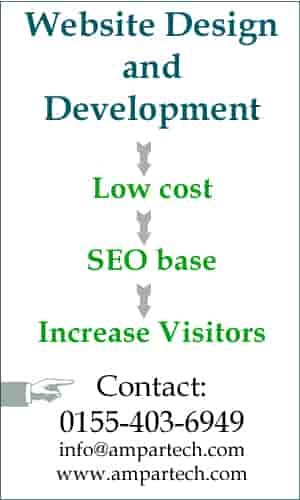 You can contact with them for bring more traffic to your website and increase your income. You can learn search engine optimization from training center or search on internet with keyword ;search engine optimization’ , you will find how to learn seo or search engine optimization and implement into your site.